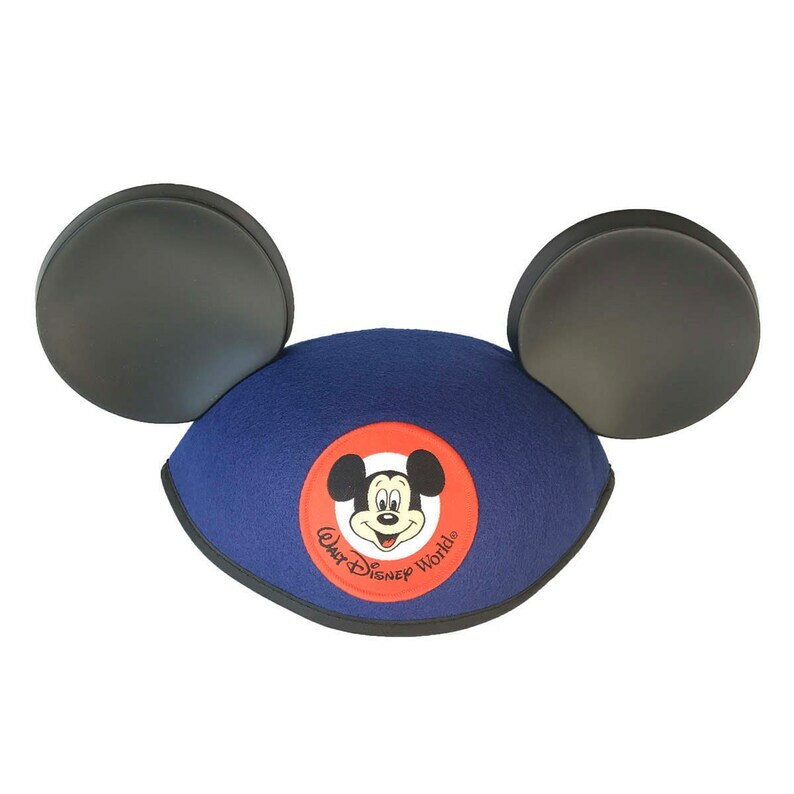 Walt Disney World Mickey Mouse Ear Hat is crafted from blue felt with black plastic ears and a sewn-on embroidered Walt Disney World / Mickey Mouse patch. 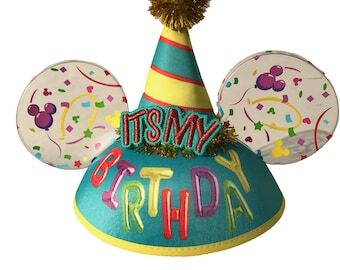 These are authentic Ear Hats direct from the Magic Kingdom in Florida! Came out great - thank you! The hat was perfect for our "public" pregnancy announcement at Disney World. The seller was a pleasure to work with and quickly responded to any questions I had. I would definitely recommend!